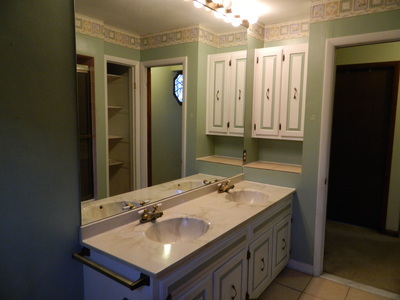 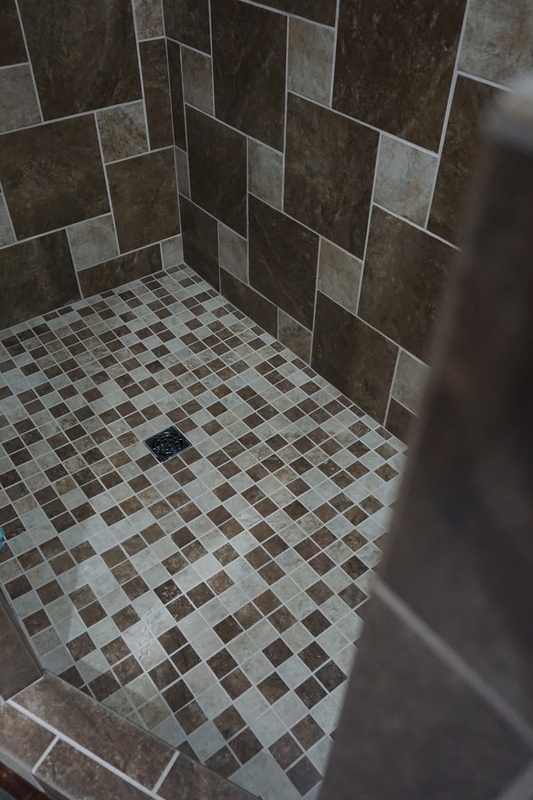 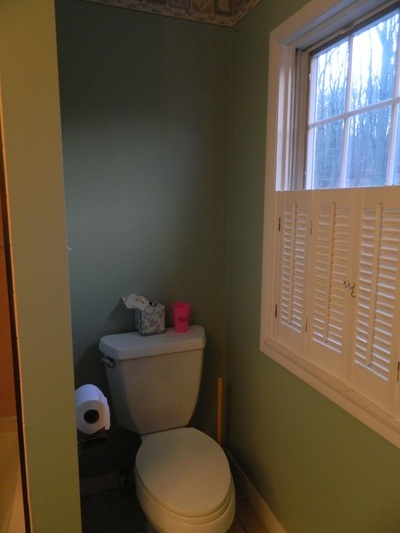 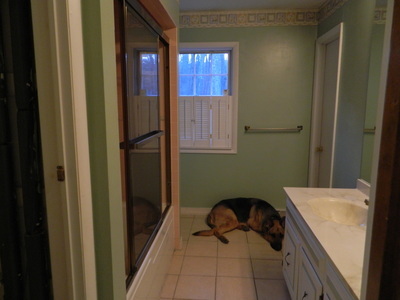 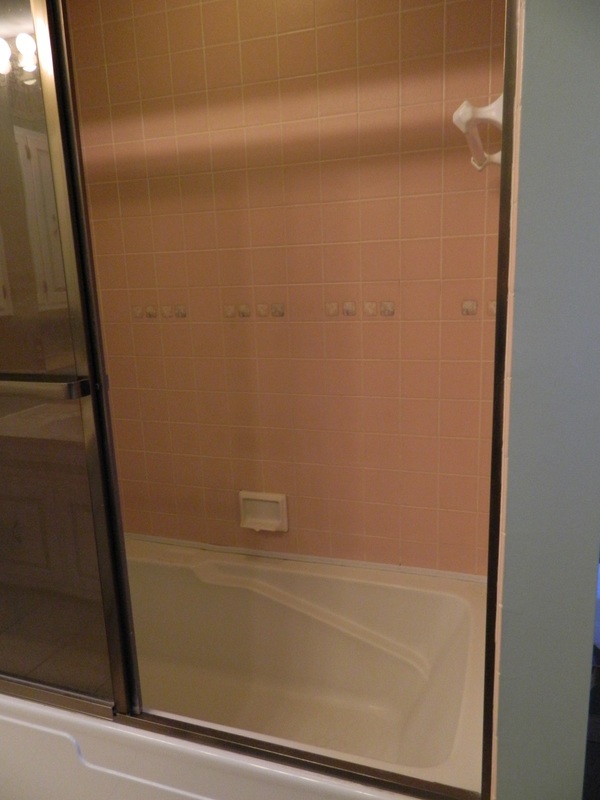 This bathroom design was completely custom and all about the look! 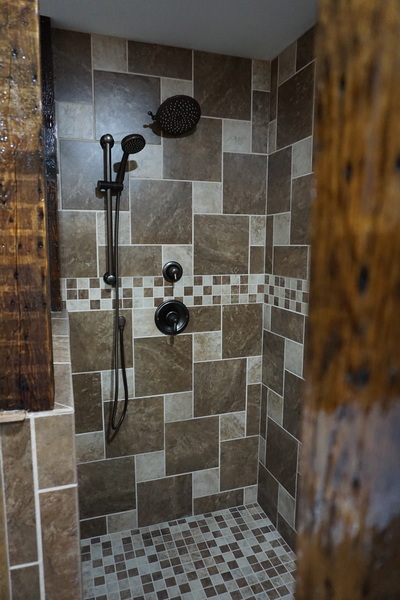 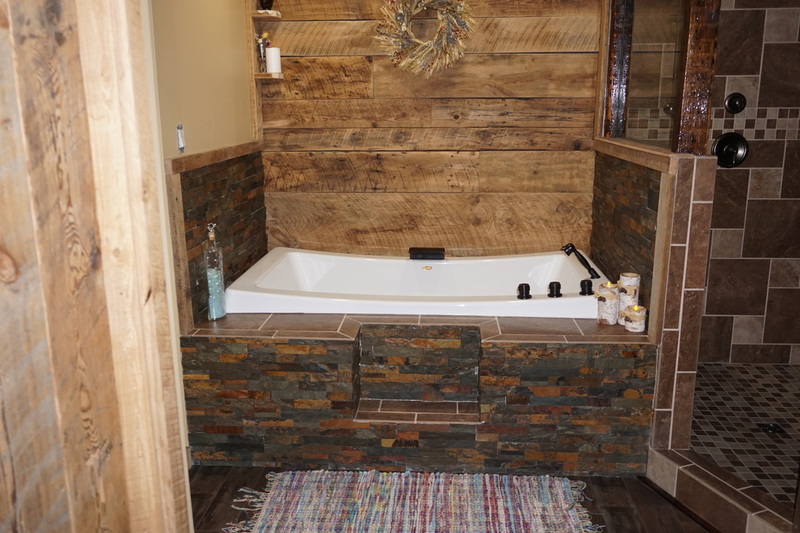 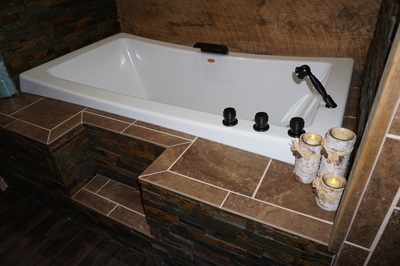 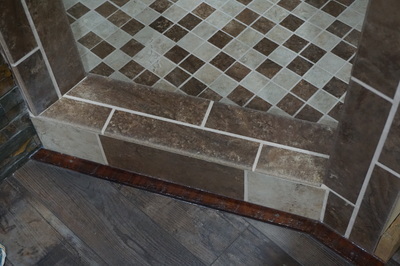 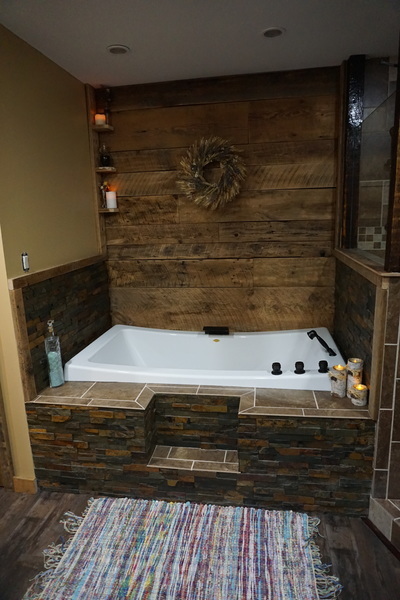 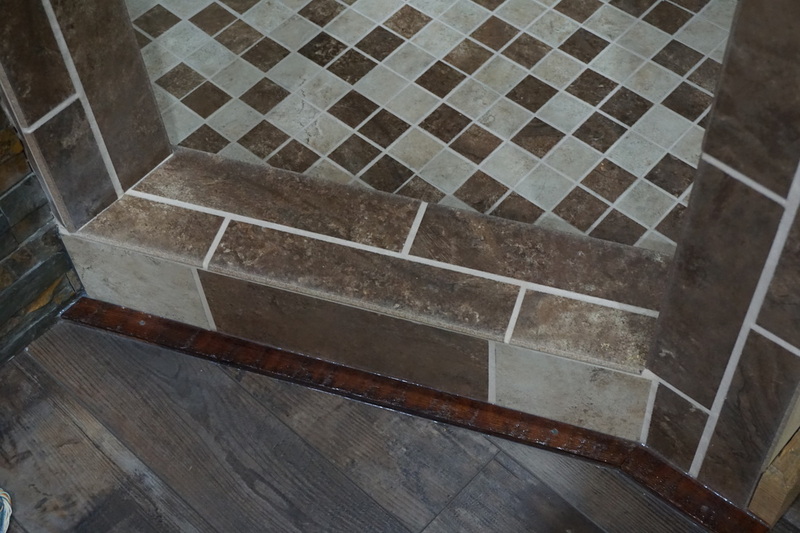 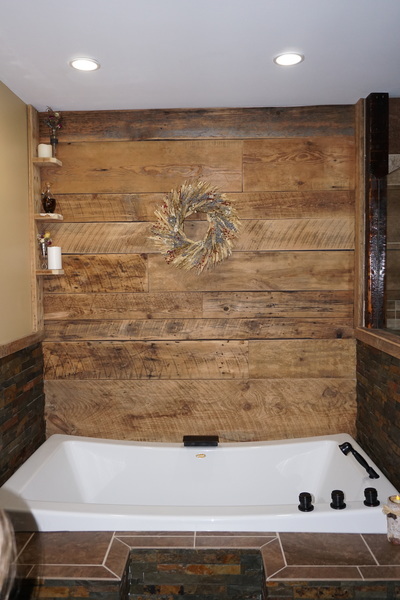 Beautiful, natural barn boards accent the walls of the bathroom and compliment the custom tile shower and ledgestone surrounding the jaccuzzi. 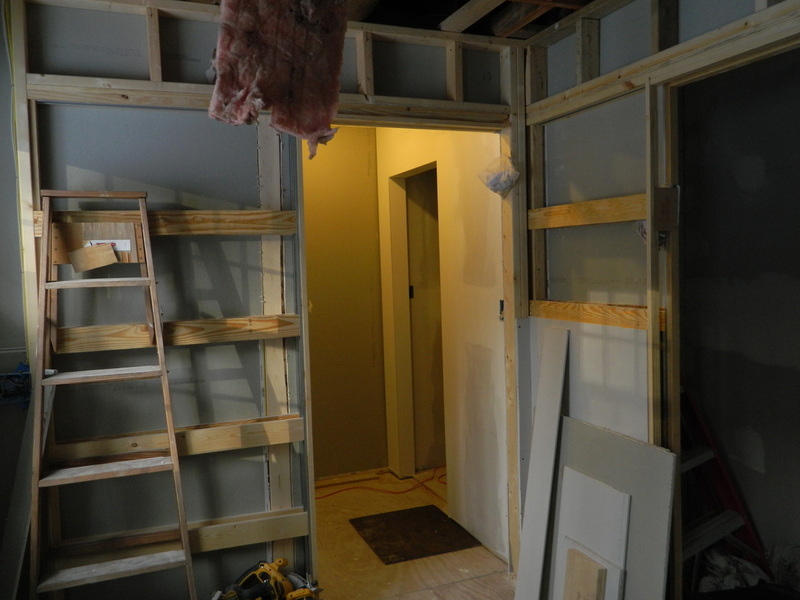 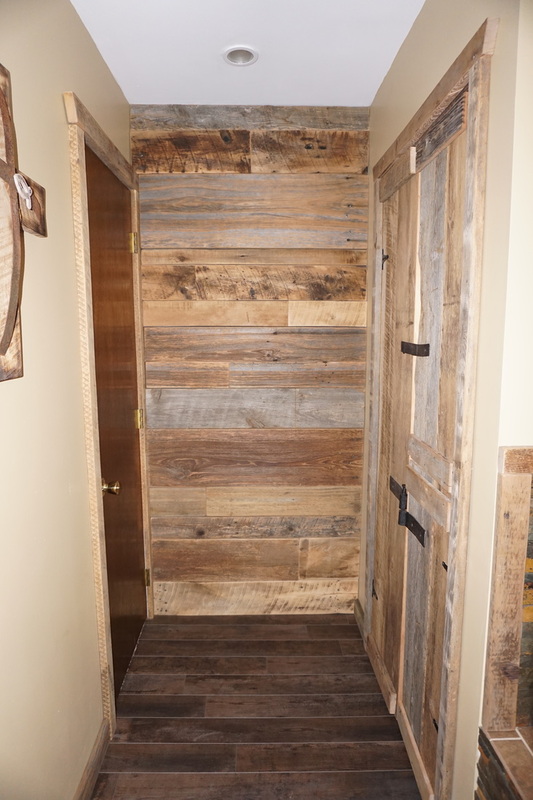 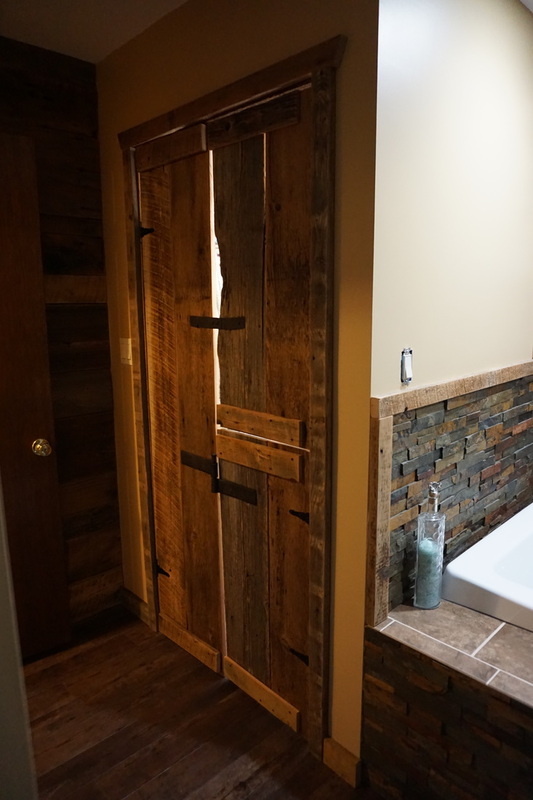 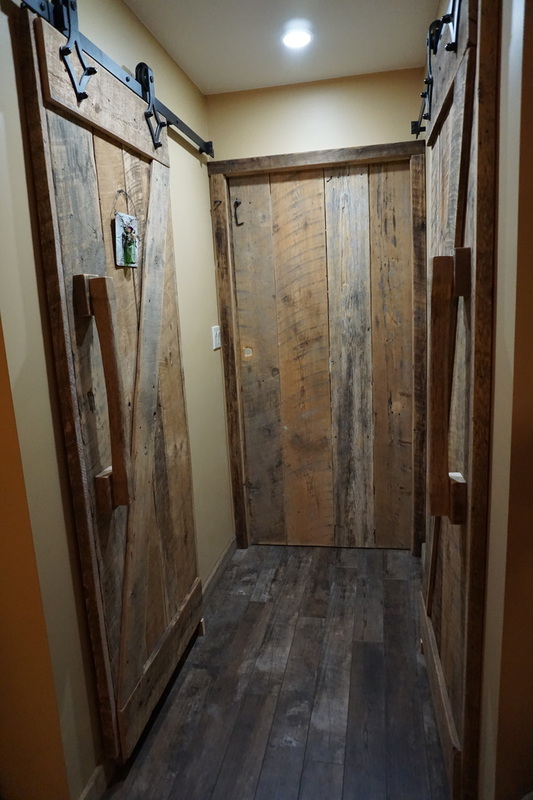 Custom-made barnboard sliding pocket doors allow entry from the bedroom and also into the water closet. 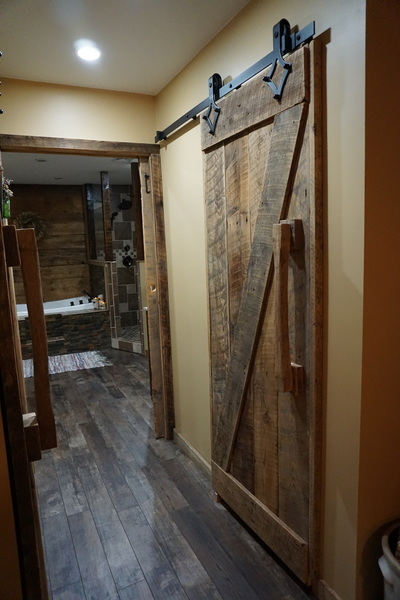 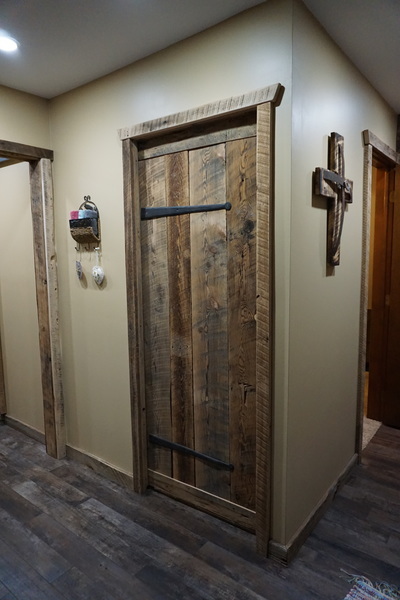 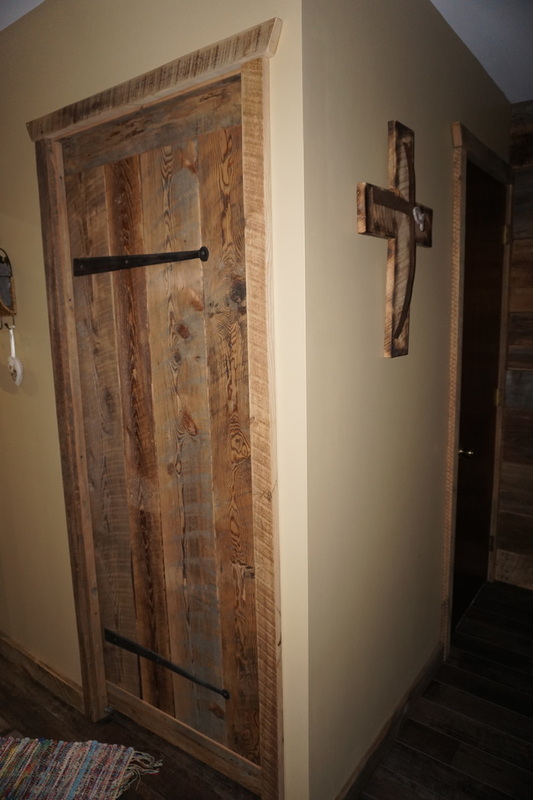 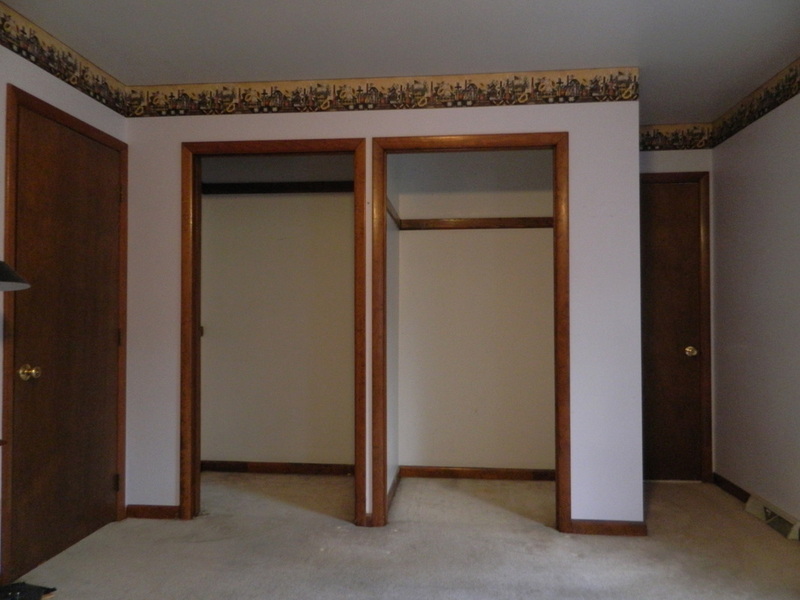 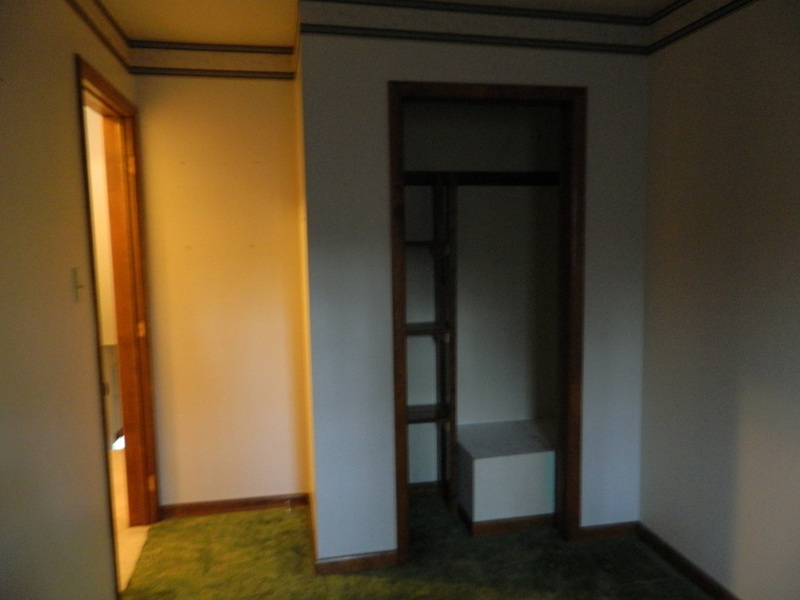 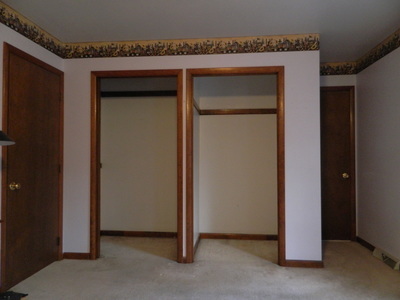 Large custom-made sliding barn doors allow access into his and hers walk-in hallway closets. 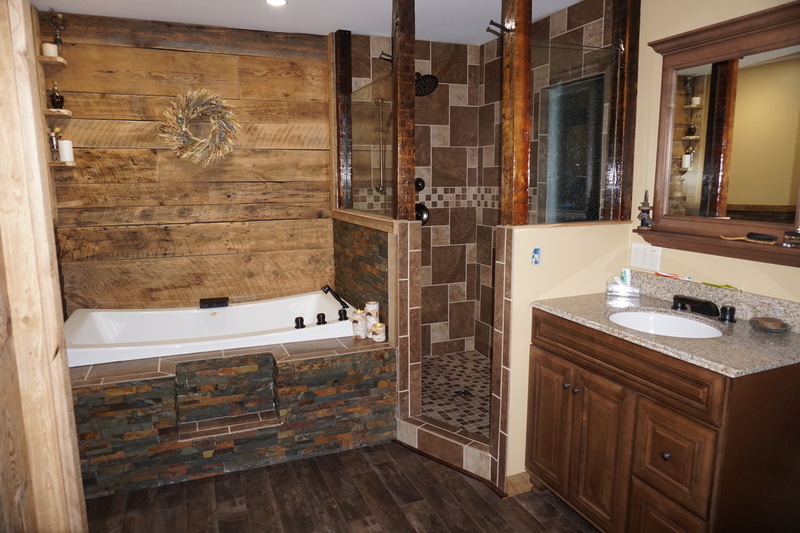 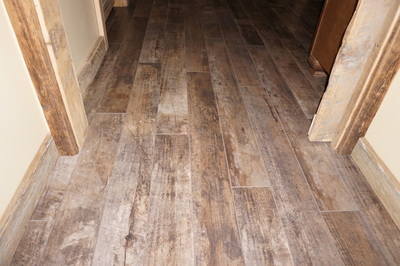 Granite countertops with undermount sinks and floating laminate flooring completes the rustic look of this oasis and invites its owners to come in and stay awhile. 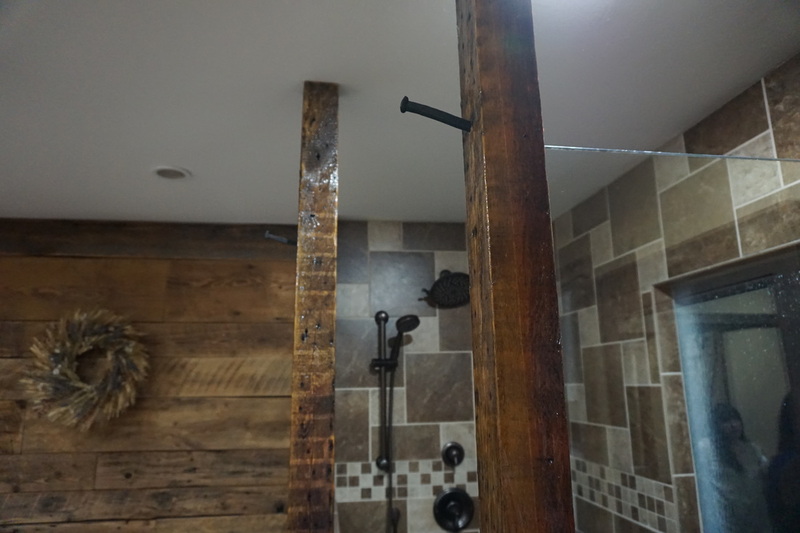 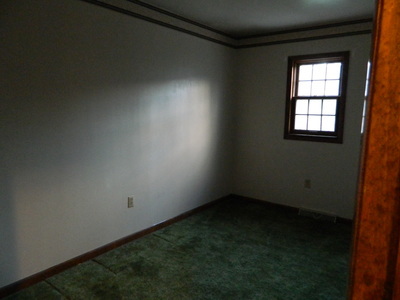 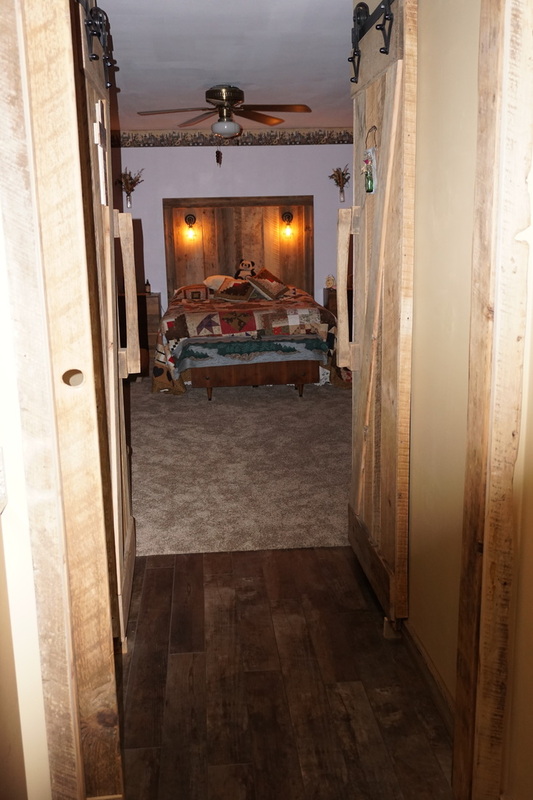 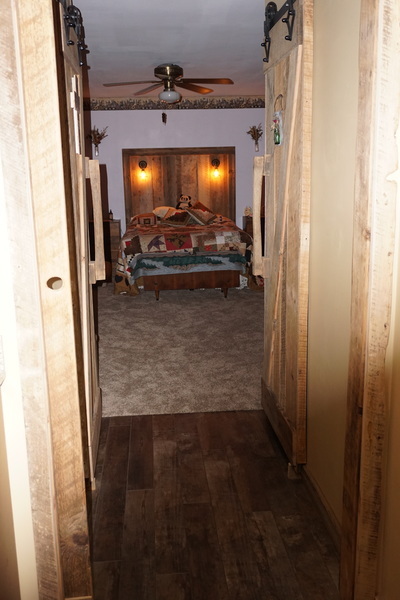 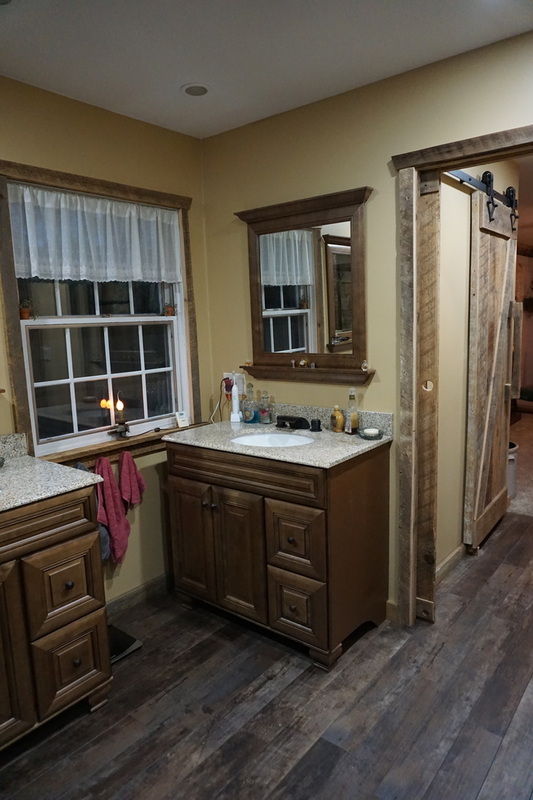 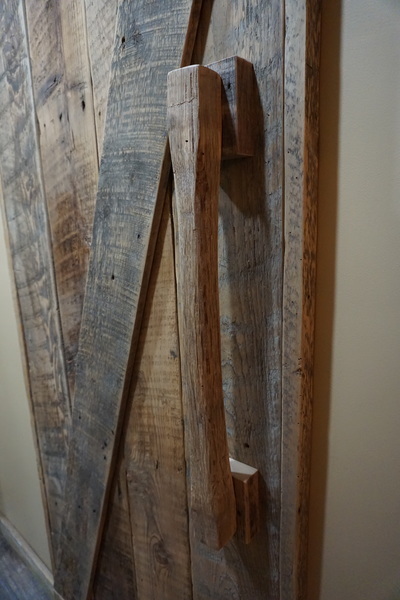 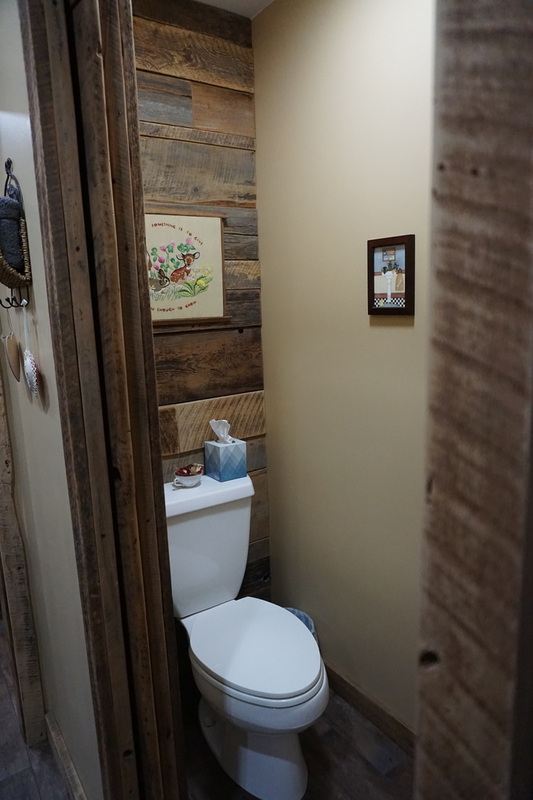 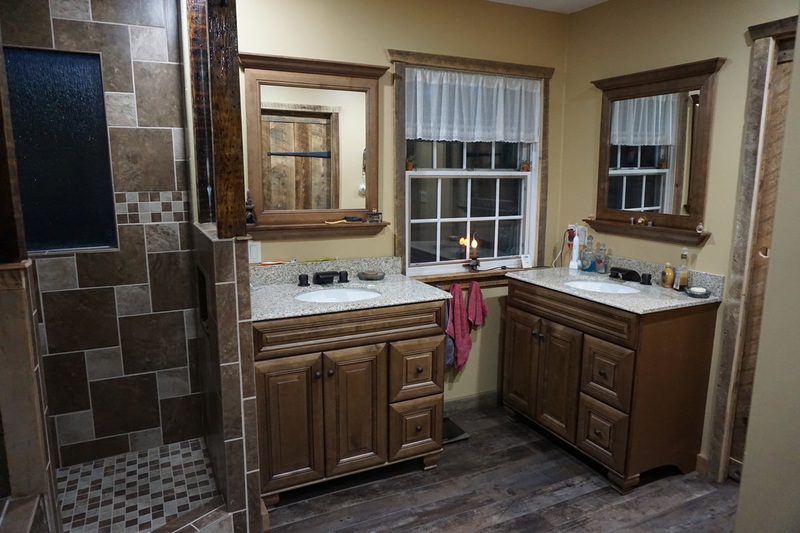 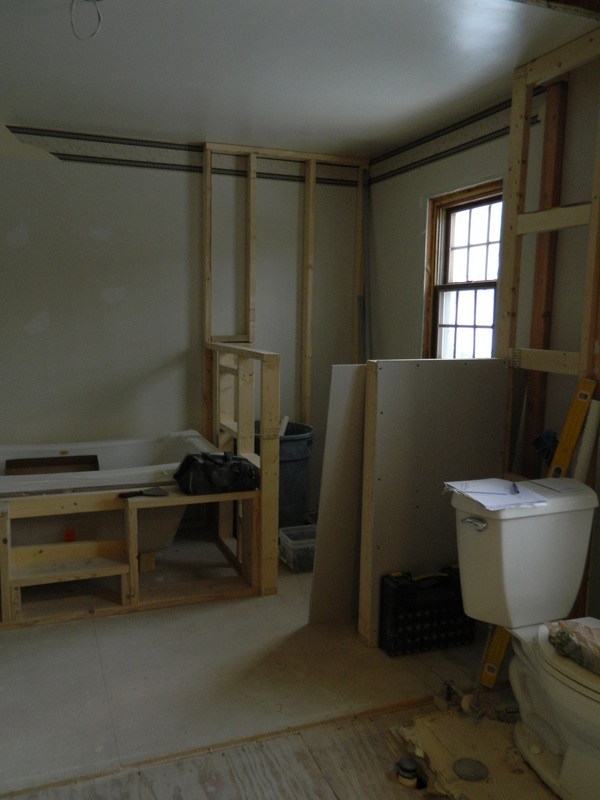 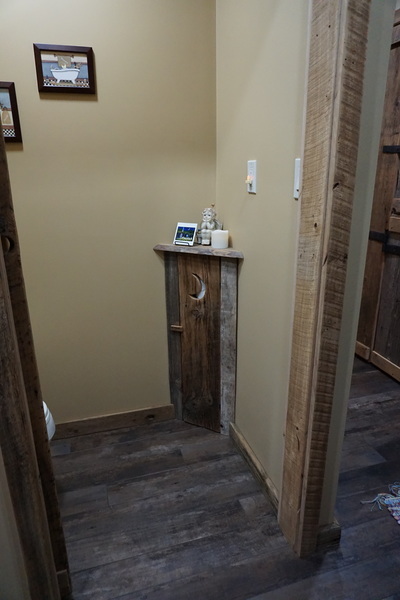 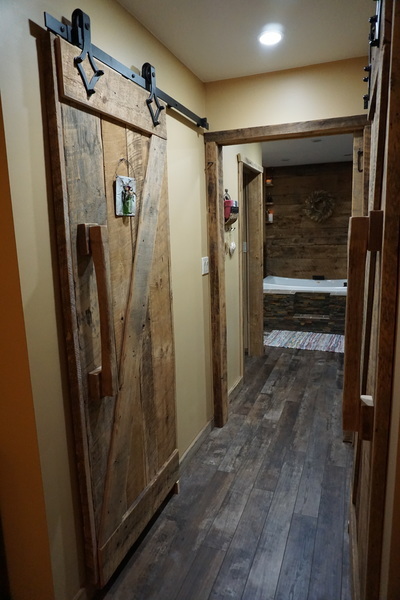 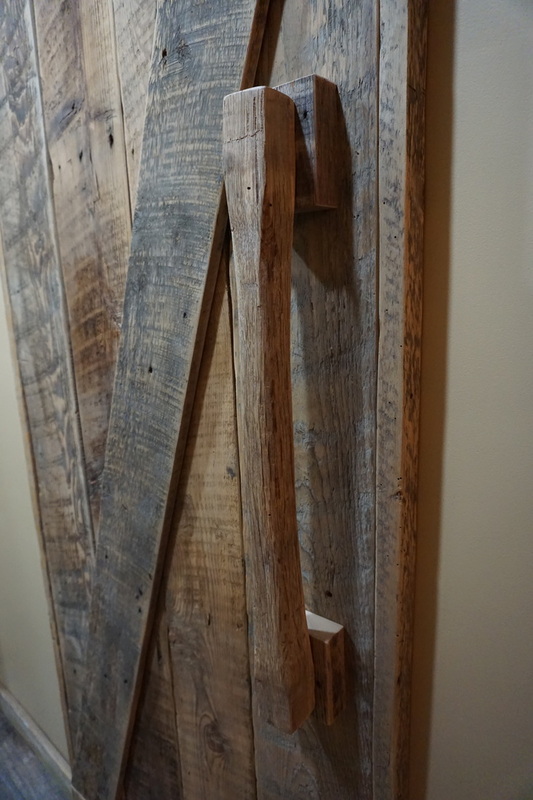 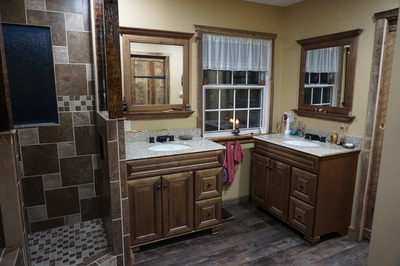 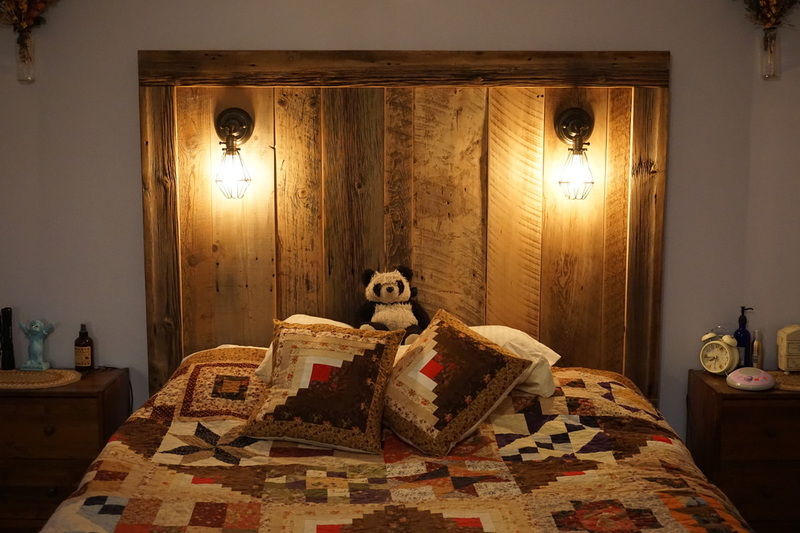 The Master Bathroom and Bedroom are tied together with the enormous custom-made barnwood headboard and vintage lights.